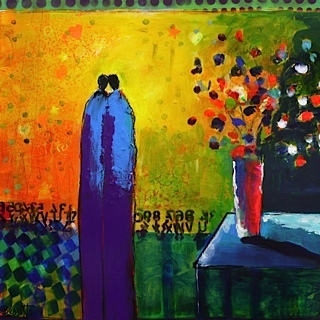 Named one of the ‘top emerging artists to watch’ by Art Business News, Jeanne Bessette’s vibrant contemporary paintings touch the viewer’s soul. 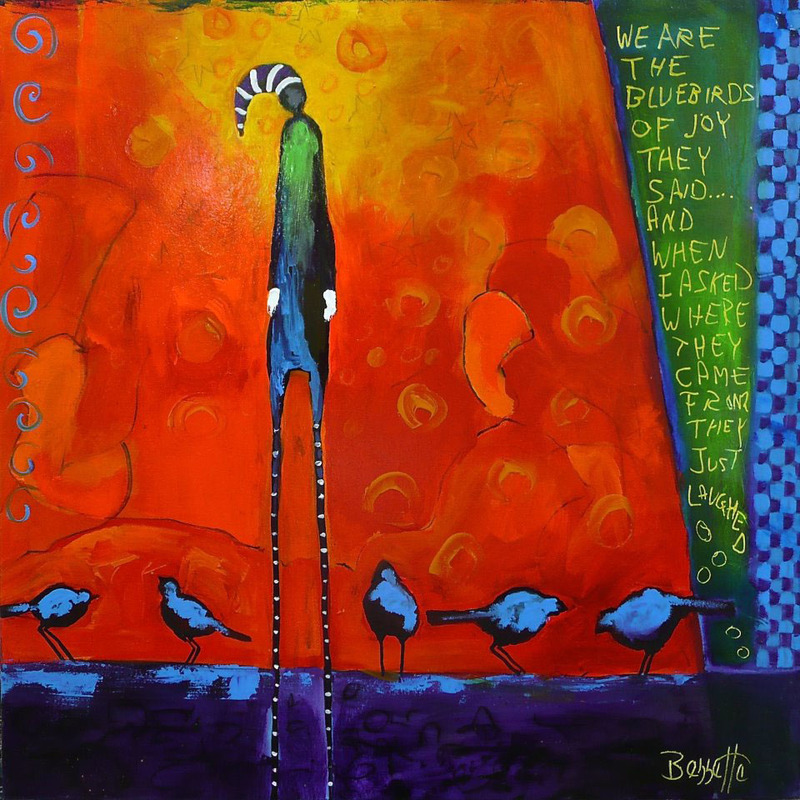 Jeanne Bessette at Mirada Fine Art, Untethered, Acrylic/Mixed Media on Canvas, 36" x 36"
Jeanne Bessette’s internationally recognized figures depict the wild and mysterious circus of our dreams and passions. At heart she is a storyteller who, in her own words, ‘scribbles, writes, and plays' with paint until her stories emerge. 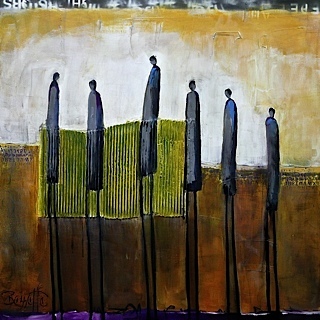 Her brilliant use of color and texture entices all to reach out and touch them. 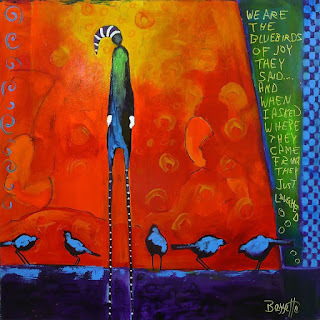 On Friday night, November 9th, Bessette unveils her first Colorado exhibition, ‘storyTELLING,’ at Mirada Fine Art. 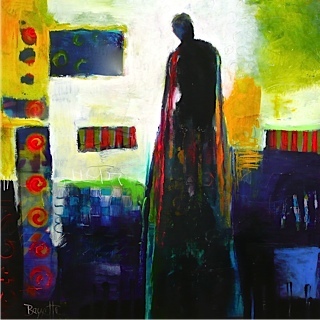 Jeanne Bessette at Mirada Fine Art, Staring Destiny in the Eye, Acrylic/Mixed Media on Canvas, 36" x 36"
Jeanne received her first art kit at the age of four. She hung her masterpieces all over the family home. This early inspiration lead to a natural progression studying studio art. Bessette graduated from the New England School of Photography, and for thirteen years owned and operated a highly successful photography studio. She sought out master teachers to relearn the tools of her true passion, painting. With her extensive background in photography, the works Ms. Bessette creates demonstrate tremendous strength in color, composition and light. Her multimedia pieces occasionally incorporate burlap and corrugated cardboard. She layers paint, textural pieces, varnish and her proprietary glazing formula until the perfect combination of translucency and vividness she’s striving for is achieved. Jeanne Bessette at Mirada Fine Art, Bluebirds, Acrylic/Mixed Media on Canvas, 24" x 24"
Jeanne Bessette at Mirada Fine Art, On the Threshold of Tomorrow, Acrylic/Mixed Media on Canvas, 36" x 36"
Chosen one of the ‘Top Emerging Artists to Watch’ by Art Business News Magazine in 2012, Jeanne Bessette’s bold, expressive pieces reside in collections throughout the United States and Canada. She currently resides in Raleigh, North Carolina. 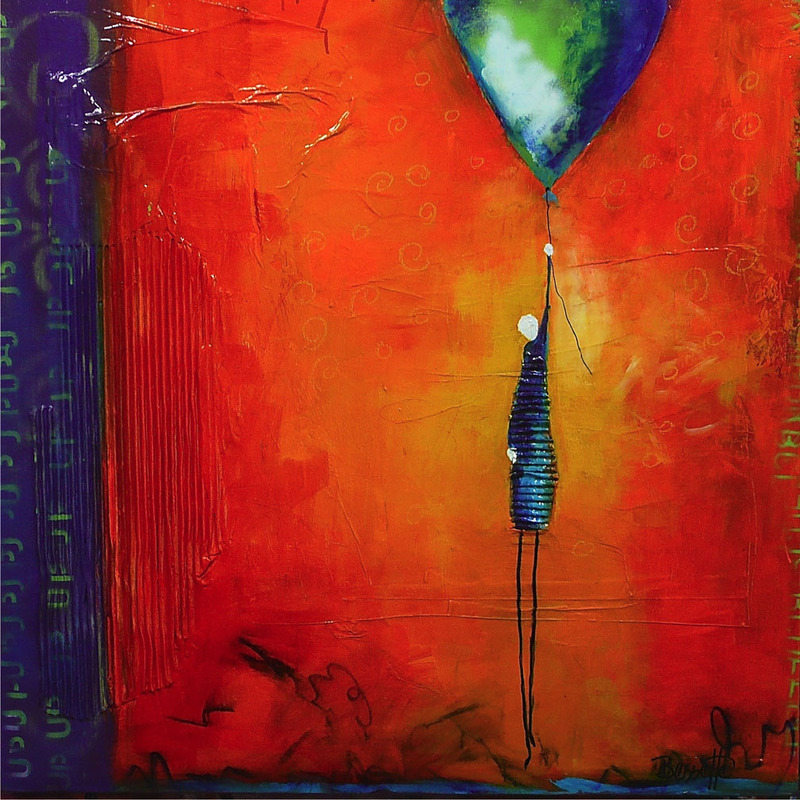 A reception with Bessette will be held on Friday, November 9 from 6-9pm at Mirada Fine Art. The exhibition will run through December 2nd.